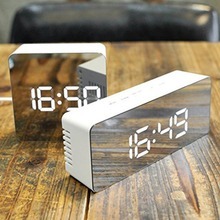 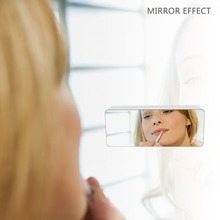 Multifunction digital mirror alarm clock,The LED alarm clock designed as mirror style. 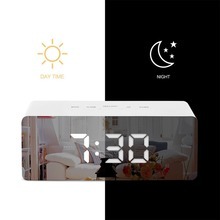 With large digital display, integrate time display, alarm, snooze, temperature display, night mode and mirror. 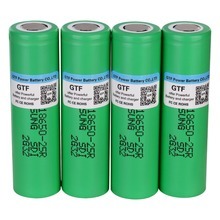 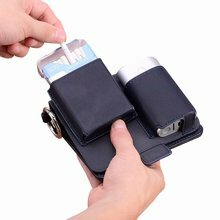 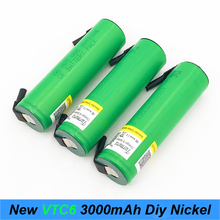 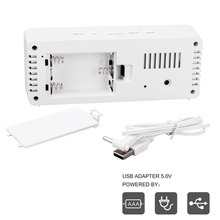 2 power supply way for more convenient use, USB plug in or used 3 AAA battery(not battery). Freely set 2 different groups of alarm time-period within 24 hours as you desire. 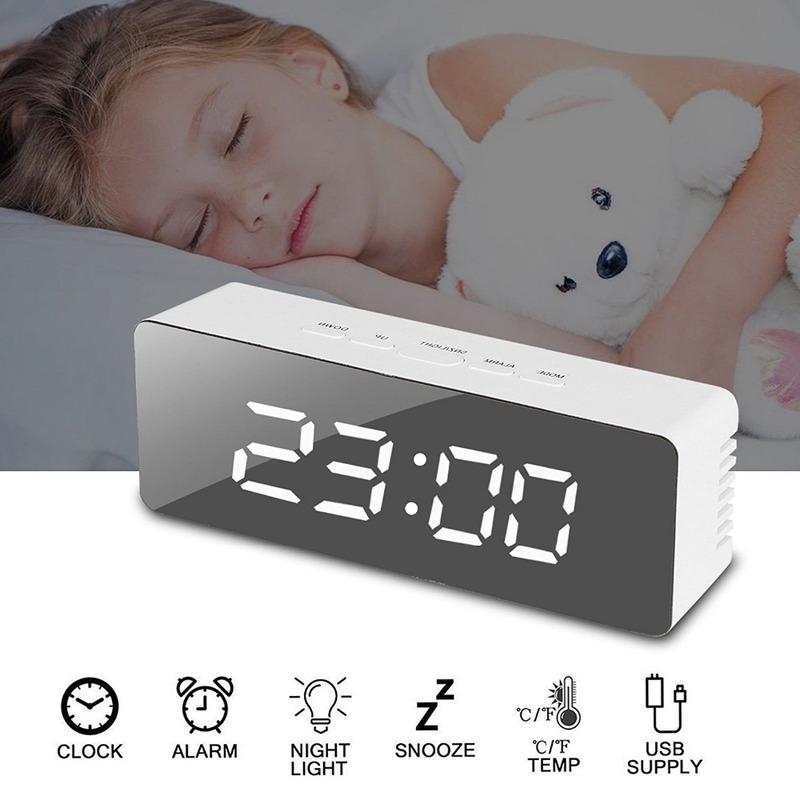 Wake you at different times, make your life easy and more convenient. 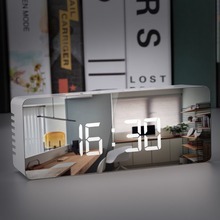 The Clock tread on the world that run silently, never disturb your . 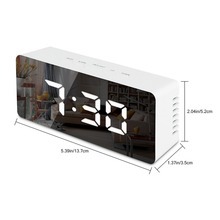 Best alarm clocks for bedrooms, simple shapes, minimalist,fit for both office & home with all decoration conditions. 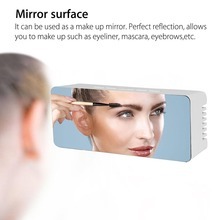 Features: LED Display – Not only for showing time (bold typeface), but also for make-up application (Provide a good experience). 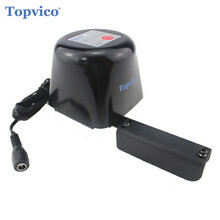 Temperature mode (°C or °F) for choice: Measuring range: 0℃ -50℃ / 32° F-122°F. 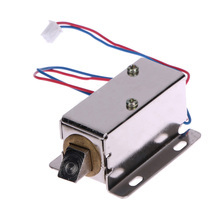 (Built-in temperature sensor, need take a while to display the correspondingly indoor temperature.). 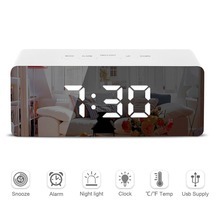 Snooze function: Snooze interval time can be set from 5-60 minutes as your need. 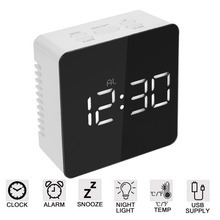 Time(12 or 24 hrs): LED light display, 12-hour or 24-hour format selectable. 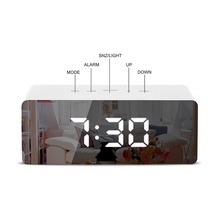 Easy to Set: With five function button(Mode, Alarm, Snz/Light,UP, Down), long press or short press buttons to set. 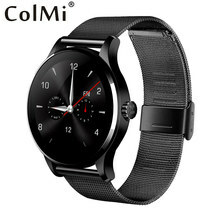 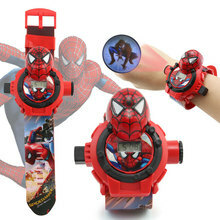 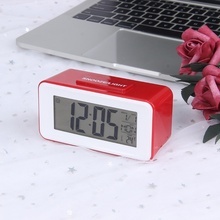 Specifications: Pattern: Rectangle/Square Size: 16*5.5*3.6cm/8.2*8.2*3.6cm Power: by USB or 3 x AAA Battery (Battery not included) Package Includes: Mirror Alarm Clock x1 Power Lead x1 Note: Please tear off the screen protector before you use the clock.